Here at Lekker, we’re not only into building high quality bikes, we’re also interested in riding them. 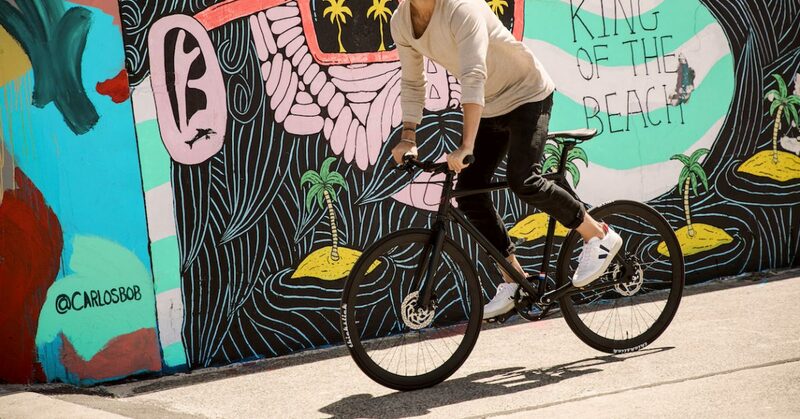 Whether you’re looking at one of our Commuter Bikes, our Mens or Ladies Cruiser Bikes, or our E-Bikes, we’re always interested to find the bike paths and trails that give you the best riding experience. In this post, we’ll be covering some picturesque paths and trails around Sydney, as well as some popular events that we hope will keep your pedals turning this Spring. Visit our branded bike shop in Sydney to see and test our full range, and to hear what’s happening in the world of Lekker Bikes this Spring. 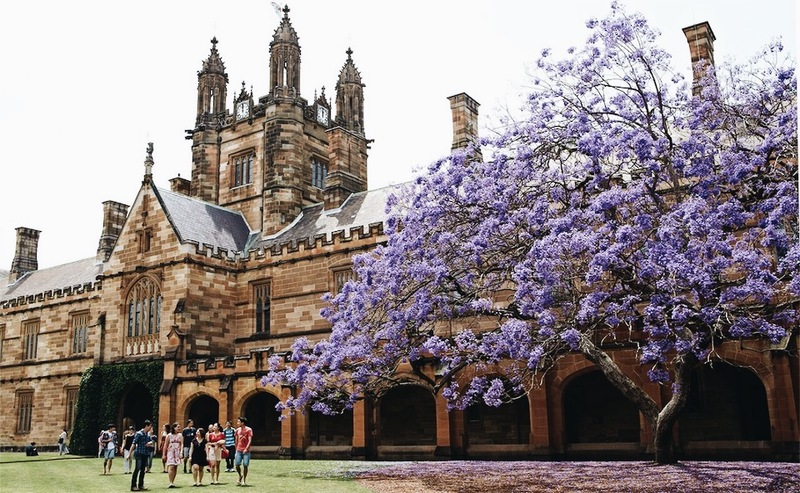 Throughout Sydney, if you’re fortunate enough and know where to go, you’ll find some beautiful jacarandas flowering and blooming throughout the months of October and November. Native to the tropical and subtropical regions of Mexico, Central America and South America, you’ll also find that it’s been planted widely throughout Asia – particularly in Nepal. Within Sydney – some particular spots to find them, are at Sydney University, Paddington, Lavender Bay, as well as out in Grafton – on the Northern Rivers of New South Wales, approximately 500 kilometres from Sydney. 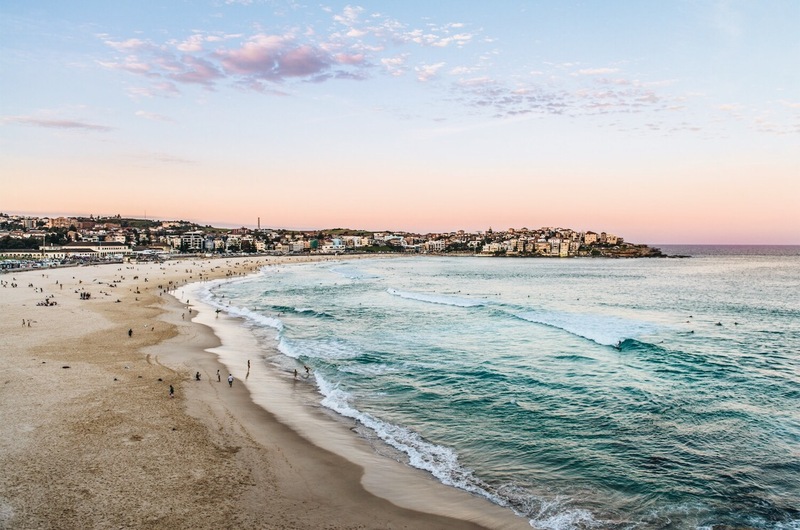 It’s no mystery that Sydney is home to some of Australia’s most iconic, and picturesque beaches. 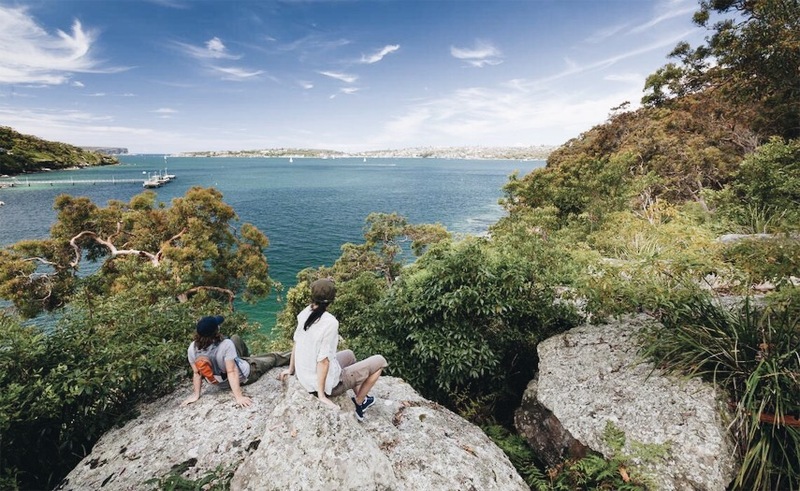 As with many coastal hot-spots – surrounding Sydney’s beaches, are many walking trails that weave you throughout Sydney. One trail in particular, is the Bondi to Coogee Coastal Walk, spanning six kilometres throughout the eastern suburbs. The walk itself, features some picturesque views along with beaches, parks, cliffs, bays and rock pools. Along the way – rest, swim, and eat at the many different cafes, hotels and restaurants that you’ll find along the way. Most beaches along the trail – offer picnic shelters, play areas, kiosks, toilets as well as change rooms. Another beautiful walk, is the Spit Bridge to Manly hiking trail. The trail boasts native bushland, quiet inner harbour beaches, as well as picturesque panoramic ocean views. The trail spans 10 kilometres, and makes up a part of the well-known Manly Scenic Walkway – running from the Spit, to the Manly North Head – 20 kilometres in total. The worlds largest ‘free to the public’ sculpture exhibition, is Sydney’s very own Sculpture By The Sea. 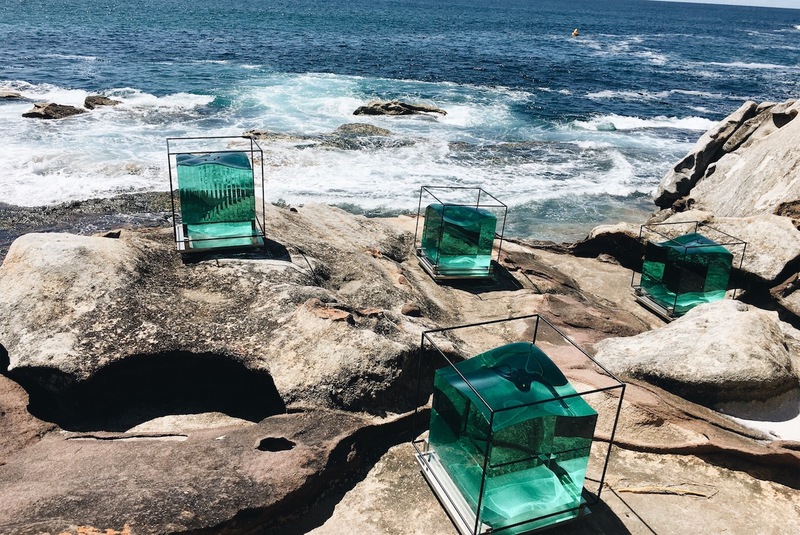 Over three weeks, the Bondi to Tamarama Beach Coastal Walk, is transformed into a 2 kilometre long sculpture exhibition. Featuring over 100 sculptures by Australian as well as international artists, the exhibitions runs throughout October and November. For further information on Sculpture By The Sea, visit: sculpturebythesea.com/bondi. Why not explore the sculptures at Bondi, on one of the latest Commuter Series by Lekker. 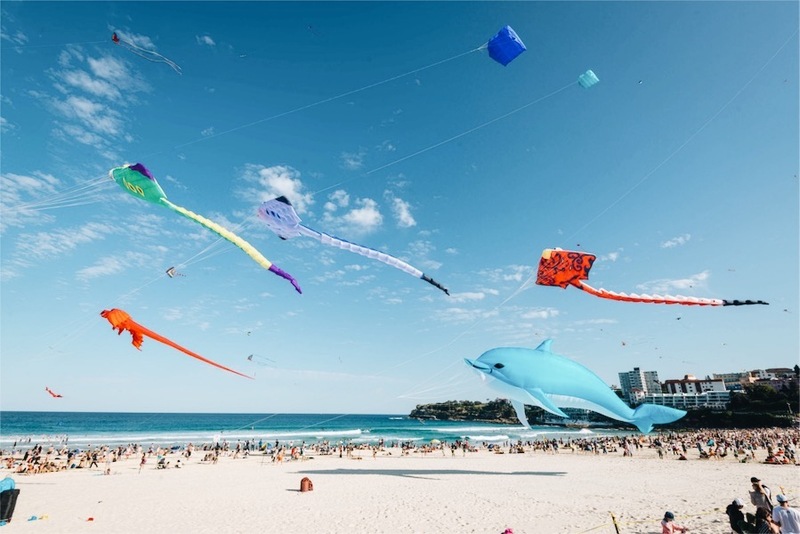 Another one of Sydney’s spectacular festivals, is Festival Of The Winds – where Australian as well as international kite flyers show off their skills in the skies above Bondi Beach. You’ll witness kite flyer’s impressive hand-made creations, as they twirl and dive in the skies over Bondi. If you’re feeling creative – there are kit-building workshops that are offered throughout the day. In addition – there are food stalls from around the world, children’s activities, demonstrations, puppet shows, as well as live entertainment – making it one of Sydney’s most loved events. 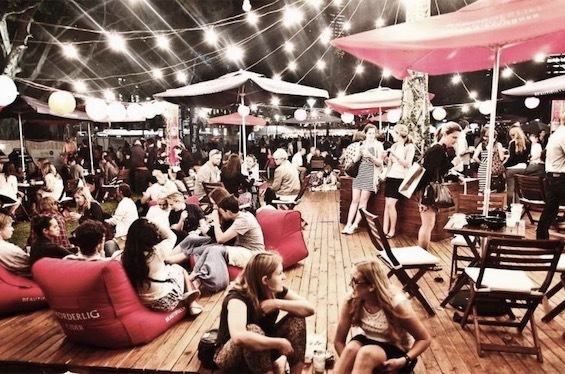 Throughout October, Sydney plays host to Good Food Month – a series of bespoke food experiences throughout Australia – inclusive of fine-dining lunches and dinners, as well as the crowd-favourite Night Noodle Market. Whether you’re eating, cooking or writing – there’s truly no better time to be involved with food if you do find yourself in Sydney. Throughout other months of the year – Good Food Month travels throughout the different cities of Australia. 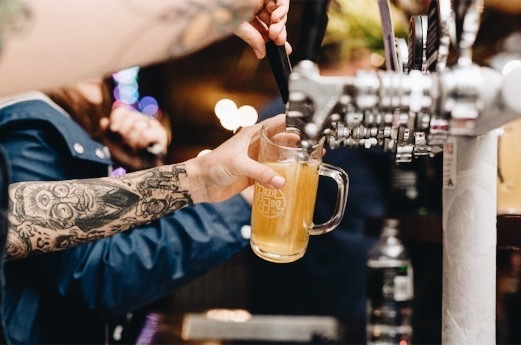 Throughout late October and early November – Sydney Beer Week takes places. The mission? Great beer for all! And, to share Sydney’s vibrant beer culture with both locals as well as visitors alike. Throughout the week, there are a range of activities and events to become involved with. For further information, visit: sydneybeerweek.com.au. Of course, food and drink cannot be talked about without mentioning the humble Farmer’s Market – fresh produce, morning sunshine and free nibbles! For market recommendations, we invite you to visit: theupsider.com.au/sydneys-farmers-markets/8590. Conclusion – Explore The Streets On One Of Lekker’s Cruisers. Whether you’re heading to your local Farmer’s Market on a Sunday morning, visiting a food event throughout Good Food Week, or, sitting down to a tasty, freshly brewed beer during Good Beer Week – Lekker Bikes have a wide range of rides to get you there and back. Whether you’re looking into one of our Commuter Bikes, our Mens or Ladies Cruiser Bike, or our E-Bike – the Lekker range is sure to have something to suit your needs. Whatever the season, or the occasion, we invite you to experience our bike shop in Sydney. With a helpful and passionate team, you’re sure to ride out in perfect comfort, and style. At our store too, you’re welcome to book a test-ride, as well as take our 30-day bike trial. For further information or assistance, we invite you to get in touch with our friendly team.